Being the fifth under the Sovereign Pontiff, Pius IV., celebrated on the sixteenth day of July, MDLXII. The sacred and holy, ocecumenical and general Synod of Trent,--lawfully assembled in the Holy Ghost, the same Legates of the Apostolic See presiding therein,-whereas, touching the tremendous and most holy sacrament of the Eucharist, there are in divers places, by the most wicked artifices of the devil, spread abroad certain monstrous errors, by reason of which, in some provinces, many are seen to have departed from the faith and obedience of the Catholic Church, It has thought fit, that what relates to communion under both species, and the com-munion of infants, be in this place set forth. Wherefore It forbids all the faithful in Christ to presume henceforth to believe, teach, or preach otherwise on these matters, than is in these decrees explained and defined. It furthermore declares, that this power has ever been in the Church, that, in the dispensation of the sacraments, their substance being untouched, (l) it may ordain,- or change, what things soever it may judge most expedient, for the profit of those who receive, or for the veneration of the said sacraments, according to the difference of circumstances, times, and places. And this the Apostle seems not obscurely to have intimated, when he says; Let a man so account of us, as of the ministers of Christ, and the dispensers of the mysteries of God. (m) And indeed it is sufficiently manifest that he himself exercised this power,- as in many other things, so in regard of this very sacrament; when, after having ordained certain things touching the use thereof, he says; The rest I will set in order when I come. (n) Wherefore, holy Mother Church, knowing this her authority in the administration of the sacraments, although the use of both species has,- from the beginning of the Christian religion, not been unfrequent, yet, in progress of time, that custom having been already very widely changed,- she, induced by weighty and just reasons,- has approved of this custom of communicating under one(o) species, (p) and decreed that it was to be held as a law; which it is not lawful to reprobate, or to change at plea sure, without the authority of the Church itself. CANON I.--If any one saith, that, by the precept of God, or, by necessity of salvation, all and each of the faithful of Christ ought to receive both species of the most holy sacrament not consecrating; let him be anathema. CANON II.-if any one saith, that the holy Catholic Church was not induced, by just causes and reasons, to communicate, under the species of bread only, laymen, and also clerics when not consecrating; let him be be anathema. CANON III.--If any one denieth, that Christ whole and entire -the fountain and author of all graces-is received under the one species of bread; because that-as some falsely assert-He is not received, according to the institution of Christ himself, under both species; let him be anathema. CANON IV.--If any one saith, that the communion of the Eucharist is necessary for little children, before they have arrived at years of discretion; let him be anathema. As regards, however, those two articles, proposed on another occasion, but which have not as yet been discussed; to wit, whether the reasons by which the holy Catholic Church was led to communicate, under the one species of bread only, laymen, and also priests when not celebrating, are in such wise to be adhered to, as that on no account is the use of the chalice to be allowed to any one soever; and, whether, in case that, for reasons beseeming and consonant with Christian charity, it appears that the use of the chalice is to be granted to any nation or kingdom, it is to be conceded under certain conditions ; and what are those conditions : this same holy Synod reserves the same to another time,-for the earliest opportunity that shall present itself,-to be examined and defined. The same sacred and holy, oecumenical and general Synod of Trent,--lawfully assembled in the Holy Ghost, the same Legates of the Apostolic See presiding therein,-has thought fit that, to the praise of Almighty God, and the adornment of holy Church, the things which follow be ordained at present, touching the business of Reformation. Bishops shall both confer orders, and give dimissory letters and testimonials gratis: their servants shall receive nothing therefrom, and notaries that which is fixed in this decree. Forasmuch as the ecclesiastical order ought to be free from every suspicion of covetousness, neither bishops, nor others, who confer orders, nor their ministers, shall, under any pretext, receive anything for the collation of any manner of orders, not even for the clerical tonsure, nor for letters dimissory, or testimonials, nor for the seal, nor for any other cause whatsoever, not even though it should be voluntarily offered. And notaries, --in those places only where the laudable custom of not receiving any thing does not prevail,--shall only be able to receive thc tenth part of a golden crown (aureus) for each dimissory letter, or testimonial ; provided still that there be no salary assigned them for the discharge of this office; and provided that no emolument, out of the payments to the notary, Can accrue, either directly or indirectly, to the bishop from the collation of the said orders. For in this case the Synod ordains that they are bound to give their labour altogether gratuitously ; utterly quashing and prohibiting all taxes to the contrary, and all statutes, and customs, even though immemorial, of all places whatsoever, which may rather be called abuses and corruptions tending to simoniacal pravity; and they who shall act otherwise, shall, as well the givers as the receivers, ipso facto, incur, besides the divine punishment, the penalties by law inflicted. Those who have not wherewith to live, are excluded from sacred Orders. Whereas it beseems not those who are enrolled in the divine ministry, to beg, or to exercise any sordid trade, to the disgrace of their order; and whereas it is well known that very many, and that in very many places, are admitted to sacred orders almost without any selection whatever; who, by various artifices and deceits, pretend to have an ecclesiastical benefice, or even means sufficient; the holy Synod ordains, that henceforth no secular cleric, though otherwise fit as regards morals, knowledge, and age, shall be promoted to sacred orders, unless it be first legitimately certain, that he is in the peaceful possession of an ecclesiastical benefice sufficient for his honest livelihood: and he shall not be able to resign that benefice, without mentioning that he was promoted under the title thereof; nor shall that resignation be received, unless it be certain that he can live conveniently from other sources; and any resignation made otherwise shall be null. As to those who have a patrimony, or a pension, they shall not henceforth be ordained, except such as the bishop shall consider ought to be received, in consideration of the necessity or the convenience of his churches; after having also first seen carefully to this, that they really enjoy that patrimony, or pension, and that they are such as to suffice for their sustenance: And the same may not in any case be alienated, extinguished, or remitted, without the permission of the bishop, until they shall have obtained a sufficient ecclesiastical benefice, or they shall have from some other source wherewith to live; renewing hereupon the penalties of the ancient canons. A method of increasing the daily distributions is prescribed; the persons to whom they shall be due: the contumacy of those who do not serve is punished. Whereas benefices were established in order to the perform-ance of divine worship, and the offices of the Church; to the end that the divine worship may not in any respect be diminished, but due attention be paid thereunto in all things; the holy Synod ordains, that in churches, as well cathedral as collegiate, wherein there are no daily distributions, or so slight, that they are probably disregarded, a third part of the fruits and of all proceeds whatever, and revenues, as well of dignities, as of canonries, personates, portions, and offices, shall be set apart and converted to the purpose of daily distributions, to be divided amongst those who possess dignities and the others who are present at the divine service, according to that proportion which shall be settled by the bishop--even as the delegate of the Apostolic See-at the time of the very first deduction made from the fruits; saving, however, the customs of those churches wherein those who do not reside, or who do not serve, receive nothing, or less than a third: all exemptions, and any other customs, even though immemorial, and all appeals whatsoever notwithstanding. And upon the contumacy of those who do not serve increasing, they may be proceeded against according to the provision of the law, and of the sacred canons. In what case Coadjutors are to be employed for the cure of souls.--The manner of erecting new parishes is set forth. In all parish churches, or those wherein baptism is administered,(v) in which (churches) the people is so numerous, that one rector is not enough for the administration of the sacraments of the Church, and for the performance of divine worship, the bishops, even as delegates of the Apostolic See, shall compel the rectors, or others whom it may concern, to associate to themselves for this office, as many priests as shall be sufficient to administer the sacraments, and to celebrate the divine worship. As regards those churches, to which, on account of the distance, or the difficulties of the locality, the parishioners cannot, without great inconvenience, repair to receive the sacraments, and to hear the divine offices; the bishops may, even against the will of the rectors, establish new parishes, pursuant to the form of the constitution of Alexander III., which begins, Ad audientiam. And to those priests who shall have to be appointed afresh over the churches newly erected, a competent portion shall be assigned, according to the bishop's judgment, out of the fruits in any wise belonging to the Mother Church: and, if it be necessary, he may compel the people to contribute what may be sufficient for the sustenance of the said priests; every general or special reservation, or assignment, that may lie upon the said churches, notwithstanding. Neither shall ordinances and erections of this kind be prevented, or hindered, by means of any provisions, or even by virtue of any resignation, or by any other derogations, or suspensions whatsoever. Bishops shall be able to form perpetual unions, in the cases by law permitted. In order, also, that the state of those churches, wherein the sacred offices are administered unto God, may be maintained according to their dignity, the bishops, even as the delegates of the Apostolic See, may, according to form of law, make unions in perpetuity--without prejudice, however, to the incumbents--of any parochial churches whatsoever, and of those wherein baptism is administered, and of other benefices with or without cure, with (other) cures, on account of the poverty of those churches, and in the other cases by law permitted; even though the said churches, or benefices, be generally or specially reserved, or in what way soever applied: the which unions shall not be capable of being revoked, by virtue of any provision whatever, not even on account of any resignation, or derogation, or suspension. To ignorant Rectors, Vicars shall be, for the time being, deputed with a portion of the fruits; those continuing to give scandal may be deprived of their benefices. Forasmuch as illiterate and unskilful rectors of parish churches are but little fit for the sacred offices; and others, by reason of the turpitude of their lives, rather destroy than edify; the bishops, even as the delegates of the Apostolic See, may depute to the said illiterate and unskilful rectors, if they be otherwise of a blameless life, coadjutors, or vicars for the time being, and assign the same a part of the fruits for their sufficient maintenance, or provide for them in some other manner, setting aside any appeal or exemption whatsoever. But, those who live shamefully and scandalously, they shall, after having first admonished them, restrain and punish; and, if they shall still continue incorrigible in their wickedness, they shall have power to deprive them of their benefices, according to the constitutions of the sacred canons, setting aside every exemption or appeal whatsoever. Bishops shall transfer, together with their obligations, churches which cannot be restored; others they shall cause to be repaired. Whereas, also, very great care ought to be taken, lest those things which have been dedicated to sacred services, may, through the injury of time, cease to be so employed, and pass from the memory of men; the bishops, even as the delegates of the Apostolic See, may transfer simple benefices--even those that are under a right of patronage-from churches which have fallen into ruin by age, or otherwise, and which cannot, by reason of the poverty thereof, be restored, to the Mother Churches, or others of the same or neighbouring places, as they shall judge fit, after having summoned those who are interested therein; and they shall raise, in the said churches, altars, or chapels, under the same invocations; or transfer them, with all their emoluments and with all the obligations that were imposed on the former churches, to altars or chapels already erected. But, as regards parish churches which have thus fallen into decay, they shall, even though they be under a right of patronage, make it their care that they be repaired and restored, out of any fruits and proceeds whatever, in any way belonging to the said churches; and if those resources should not be sufficient, they shall compel, by all suitable means, the patrons and others who receive any fruits derived from those churches, or, in their default, the parishioners, to provide for the aforesaid repairs; setting aside every appeal, exemption, or reservation whatsoever. But if they should be all too poor, those churches shall be transferred to the Mother Churches, or to the neighbouring churches, with power to convert both the said parish churches and others that are in ruins, to profane, though not to sordid uses; a cross, however, being erected there. Commendatory monasteries, wherein regular observance is not in vigour, and all benefices so ever, shall be by bishops annually visited. It is right that whatsoever things in a diocese regard the worship of God, be diligently cared for by the Ordinary, and, where there is need, be by him set in order. Wherefore, monasteries held in commendam, even abbeys, priories, and those called provostries, wherein regular observance is not in vigour, as also benefices--with, or without the cure of souls, as well Regular as Secular-in whatever way held in commendam, even though exempt, shall be annually visited by the bishop, even as the delegates of the Apostolic See; and the said bishops shall provide, by suitable measures, even by the sequestration of the fruits, that what requires renewing or repairing, be done accordingly; and that the cure of souls, if those places, or those annexed to them, be charged therewith, as also that all other duties required of them, be rightly exercised; notwithstanding any appeals whatsoever, privileges, customs, even with a prescription from time immemorial, letters conservatory, commissions of judges, and their inhibitions to the contrary. And, if Regular observance be therein maintained, the bishops shall make it their care, by fatherly admonitions, that the superiors of the said Regulars observe, and cause to be observed, the manner of life required by the institutes of their order, and that they keep, and govern those subject to them, in their duty. And if, after having been admonished, they shall not, within six months, have visited or corrected them, then may the said bishops, even as delegates of the Apostolic See, visit and correct them, in the same way as the superiors themselves might do, in accordance with their institutes; notwithstanding, and completely setting aside, all appeals, privileges, and exemptions whatsoever. 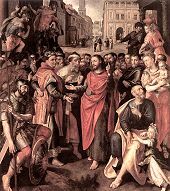 The name and use of Questors of Alms is abolished.- The Ordinaries shall publish indulgences and spiritual graces.-- Two of the Chapters shall, without fee, receive the Alms. Whereas many remedies, heretofore applied by divers councils in their day, as well by that of Lateran,(w) and of Lyons, as by that of Vienne, against the wicked abuses of questors of alms, have become in later times useless; yea, rather the depravity of such is, to the great scandal and complaint of all the faithful, found daily so to increase the more, as that there seems to be no longer any hope left of their amendment; (the Synod) ordains that, in all parts of Christendom soever, their name and use be henceforth utterly abolished; nor shall they be allowed in any wise to exercise any such office; notwithstanding any privileges granted to any churches, monasteries, hospitals, pious places, or to any persons of whatsoever degree, estate, and dignity, or any customs, even though immemorial. As regards the indulgences, or other spiritual graces, of which the faithful of Christ ought not on this account to be deprived, It decrees, that they are henceforth to be published to the people at the due times, by the Ordinaries of the places, aided by two members of the Chapter; to whom also power is given to gather faithfully the alms, and the succours of charity which are offered them, without their receiving any remuneration whatsoever; that so all men may at length truly understand, that these heavenly treasures of the Church are administered, not for gain, but for godliness. The sacred and holy, oecumenical and general Synod of Trent, lawfully assembled in the Holy Ghost, the same Legates of the Apostolic See presiding therein, hath ordained and decreed, that the next ensuing Session be held and celebrated on the Thursday after the octave of the feast of the Nativity of the Blessed Virgin Mary, which will be on the seventeenth of the month of September next; with the addition, however, that the said holy Synod freely may and can, according to Its will and pleasure, as It shall judge expedient for the affairs of the Council, limit or extend, even in a general congregation, the said term, as also that which may be assigned hereafter for each Session.